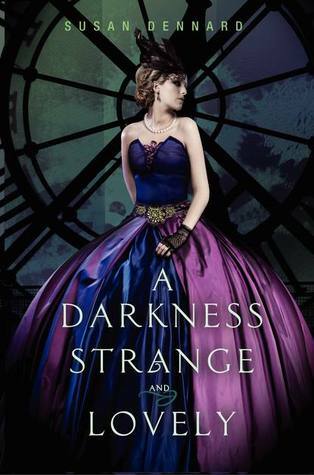 A Darkness Strange and Lovely, the sequel to Something Strange and Deadly, follows the protagonist in further adventures trying to contain the zombie problem that has been unleashed. The book introduces some new characters while continuing the established plot and bringing up new questions. In the first book, Eleanor Fitt, a teen girl in 1800’s Philadelphia, discovers that zombies have been unleashed upon her city. She meets a group of scientists called the Spirit-Hunters who have found a way to destroy the zombies. With their help, she finds out the root of the zombie epidemic and becomes determined to keep fighting. In this sequel, she and the Spirit-Hunters travel to Paris to stop the growing zombie problem there and search for the secrets that will end the zombies once and for all. The series’ settings, from 19th-century Philadelphia to Paris in the same time period, were promising but not really utilized. The Philadelphia mentioned in the first book was atmospheric and interesting, but Paris wasn’t really a great backdrop for the story. There was also a considerable lack of action, which was disappointing because the story lent itself more to being a plot-driven story than focusing on character feelings and other “blank screen time” that filled most of the book. The character relationships were also disappointing, as little happened to continue their relationships from the first book, although the introduction of a new character was very interesting and promising for the next book in the series. The plotline was somewhat interesting and set up for an interesting conclusion. If you like historical fiction and zombies, I would recommend this book, although it was somewhat lacking in the action and steampunk elements I enjoyed from the first book.